FLUID: Bi Photo Exhibition Submission Deadline MIDNIGHT April 1st! FLUID is a juried exhibition of photography by bi* photographers in celebration of WorldPride 2014, to be held in Toronto, Ontario, Canada. WorldPride is an international gathering incorporating activism, education, and the history and culture of global C communities and includes a cultural festival, an international human rights conference, three marches and opening and closing ceremonies. WorldPride is held once every 4 years and this will be the first time the celebration will be held in North America. Over 1.2 million people are expected to attend WorldPride. This exhibit seeks to feature the work of bi* identified artists working in any photo-based format (digital, collage, analog, alternative or historical processes). Bi* artists include those who claim, amongst other possibilities, the identities bisexual, queer, pan, asexual, omnisexual, two-spirit, fluid or other non-exclusively straight or non-exclusively gay identities. We are seeking works that explore the ideas of “fluidity”, “instability”, “movement”, “shape”, “liquidity”, and/or that challenge the binaries of either “hetero” and “homo” only identities. There is a non-refundable submission fee of $45.00 CAD to cover the costs of mounting the exhibition (this covers your entry of up to 4 images). We continue to fundraise in support of FLUID and hope to be able to offer bursaries to cover printing, framing and shipping. We encourage photographers working in digital media to print locally in Toronto and we are happy to recommend local professional print shops. Greetings from the Latino Bicultural Project! We at the LBC Project have conducted a multi-year study, directed by Dr. Miguel Muñoz-Laboy of Temple University, that is funded by the Eunice Kennedy Shriver National Institute of Child Health and Human Development. The project is based on data from 150 behaviorally bisexual Latino men, aged 18-60, in New York and New Jersey. Bisexual Latino men make up a population that is at elevated risk for both physical (HIV/STI) and mental (anxiety, depression) health risks. As both ethnic AND sexual minorities, the men in our study faced a number of oppressions. We are currently in the dissemination phase of the project, and are reaching out to key organizations and the general public to talk about what we found. Our monograph, with a full discussion of our complete findings, is forthcoming. Until then, check us out online! We’d love to hear from you at latinobiculturalproject@gmail.com. When I initially met my best friend, she identified as specifically queer and avoided the dreaded “bisexual” term like a cat avoids water. 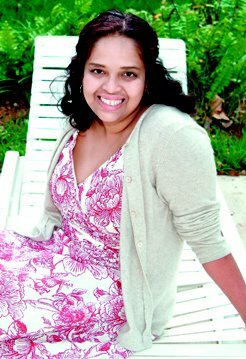 It wasn’t until recently that she confidently accepts bisexuality as a part of her identity. Why, you ask? Because bi-haters. The worst part is, I didn’t realize, for the longest time, my own prejudice against bisexuality was no better than the bi-haters I’d actively accused. In mainstream consciousness, the queer community is seen as a close-knit bunch. However, like any other social group, we have our own inequality issues. With the growing trans* visibility in our media, we are (very) slowly growing in support and inclusion of transgender people within our community. But sadly, with all the progression we’ve seen with trans* issues, I find we (the queer community) are equally as stagnant, or even weakening, in the understanding of bisexual people. Seeing that the bisexuality spectrum represents the majority of the LGBT community, it’s time we respect that fact. Special Note from Faith: I identify as a black woman and am proud to be presenting a workshop at the #blaQueOUT conference at UC Riverside April 18-19th. If you identify as a person of African descent and are part of the LGBTQ community, please consider attending! Our theme is “A Community Gathering”, and we are ecstatic to have two of our community leaders as keynote speakers, ABilly S. Jones-Hennin and Mary Anne Mohanraj! We're looking for programming around themes of community & inclusiveness, leadership, family, education & research, and intersectionality, as well as basic and advanced programming about bisexual and transgender issues for folks in and new to our bi/pan/fluid/queer/unlabeled (bi+) and allied communities. If you have ideas for these and other engaging topics, please submit a proposal! BECAUSE 2014 is June 6-8 on the University of Minnesota's Twin Cities Campus. It is being hosted by the University of Minnesota Office for Equity and Diversity's Gay, Lesbian, Bisexual, Transgender and Ally Programs Office https://diversity.umn.edu/glbta. Keynote presentations, panel discussions, workshops, special guests, community meal times, and entertainment are all on the schedule, so please join us for an amazing weekend! If you have questions, please email tara.durney@bisexualorganizingproject.org. Thanks, and we look forward to seeing you at BECAUSE! 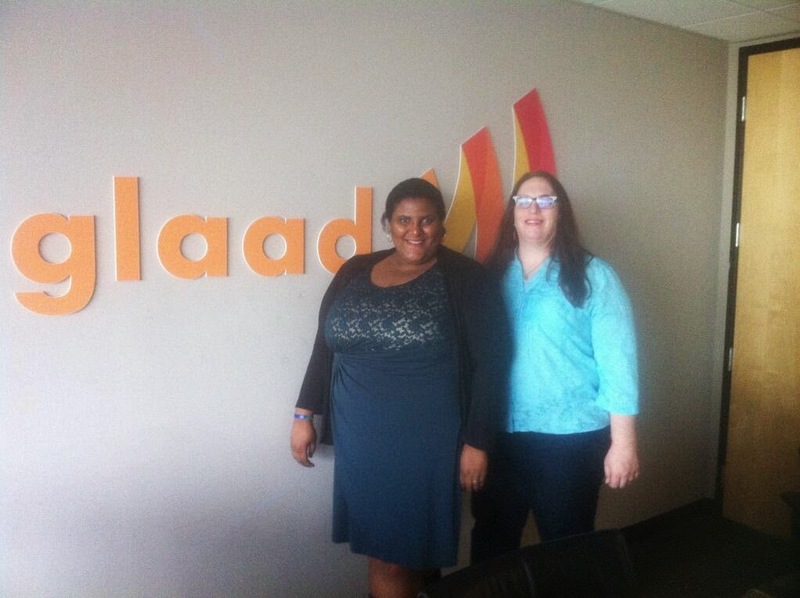 BiNet USA thanks GLAAD for meeting with bi leadership this afternoon! Present in the joint meeting with GLAAD programming/communication staff were Faith Cheltenham, BiNet USA President, LA Bi Task Force Chair, Tara Avery, Bi Request organizer Paul Nocera, and Dr. Herukhuti, bisexual health researcher/academic. We were able to come up with some new ideas and implementation strategies that are very promising. Special thanks to GLAAD Vice President of Communications, Rich Ferraro, for the invite! The third week of Bisexual* Health Awareness Month, sponsored by the Bisexual Resource Center (BRC), focused its lens on nutrition and physical activity. Over the past decade, we have been gaining a clearer picture of chronic disease risk and weight issues within the bisexual community. Bisexual women have higher rates of being overweight and obese compared to heterosexual women, yet more bisexual women are underweight compared to heterosexual women and lesbians. One study in particular also discovered that bisexual women reported elevated rates of heart disease compared to that of heterosexual women and purported these rates may be caused by bisexual women having higher cholesterol, blood pressure, and body mass index (BMI) levels. Men in general have a higher risk of heart attacks than women, and queer men have reported elevated rates of eating disorders than heterosexual men, but more research is needed on the precise weight patterns and heart disease risks among bisexual men. In addition, a report released last month by the Williams Institute found that 25 percent of bisexuals in the United States receive food stamps compared to 14 percent of lesbians and gay men as a result of experiencing food insecurity. Food insecurity is defined as having limited or uncertain availability to nutritionally adequate and safe foods, and it is associated with poor mental and physical health outcomes, including anxiety, depression, substance use, diabetes and hypertension. These poor outcomes are due to the stress of poverty and the inability to afford or access nutritious foods. Bisexuals on food stamps must often load their plates with inexpensive, high calorie processed foods in order to fill their stomachs, which can result in weight gain. We know that these nutrition and physical acitivity issues are important to the entire LGBTQ community, and we are not saying that bisexual people’s issues take precedence over the rest of the community. However, neither are they less important. 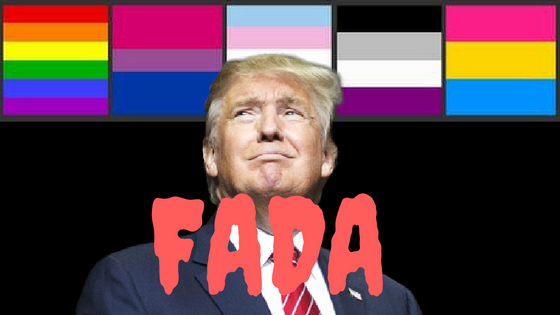 We are drawing attention to the bisexual community’s distinctive issues because many people do not realize that these problems are affecting us to such a degree. Start Moving: Bisexual adults need at least 150 minutes of moderate-intensity aerobic activity (e.g. brisk walking, dancing, and playing basketball) and 2 days of muscle-strengthening exercises (e.g. yoga, weight lifting, and pushups or sit ups) each week to maintain heart health. Eat Healthy: Fenway Health’s Healthy Eating Guide can provide bisexuals with simple nutrition tips and guidelines to improve their diets. Decrease Stress: Biphobia, bisexual invisibility, poverty, and other societal stressors can take its toll on bisexuals. It is important, therefore, to practice stress reduction techniques, such as meditation, journaling, deep breathing, and visualization. Bisexuals can also reach out to local and online bisexual organizations for support. Get Covered: Under the Affordable Care Act (ACA), most health insurance plans must cover certain preventive care services, which include nutrition counseling, Type 2 diabetes screening, and cholesterol screening. Bisexuals who need health insurance can find an affordable, nondiscriminatory plan near them at Out2Enroll. Find Services: Bisexuals in need of food assistance or nutritional programs can reach out to food banks, food pantries, and several government agencies. Fight Food Insecurity: Bisexuals can volunteer at local soup kitchens or lead their own community food drives. Local bisexual organizations can also form their own teams and participate in hunger walks. We want to hear from you on these issues of food insecurity and heart disease risk in the bisexual community. You can follow Bisexual Health Awareness Month on the Bisexual Resource Center’s Facebook page and follow BRC’s Twitter feed (@BRC_Central) with the hashtag #bihealthmonth. Get involved with the conversation today! Julia Canfield is a Master’s of Public Health candidate in the Department of Community Health Sciences at the Boston University School of Public Health and is interning with the Bisexual Resource Center (BRC) through May 2014. The Bisexual Health Awareness Month campaign was inspired by Julia’s idea for a practicum project. 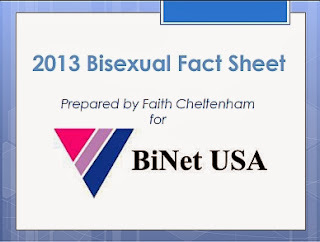 The BRC has been advocating for bisexual visibility and raising awareness about bisexuality throughout the LGBT and straight communities since 1985. The BRC envisions a world where love is celebrated, regardless of sexual orientation or gender expression. Visit http://www.biresource.net. * The BRC uses bisexual as an umbrella term for people who recognize and honor their potential for sexual and emotional attraction to more than one gender (pansexual, fluid, omnisexual, queer, and all other free-identifiers). We celebrate and affirm the diversity of identity and expression regardless of labels. The American Institute of Bisexuality; the Bisexual Resource Center; the Bisexual Organizing Project; the New York Area Bisexual Network (NYABN); Bialogue; DC Alliance of Multicultural Bisexuals (AMBi); Los Angeles Bi Task Force; and Bisexual Books. Aud Traher, Sarah Stumpf, Meredith Lively, Cynthia Connors, Estraven, Loraine Hutchins, Stacey Langley, Helen Acosta, Denise Penn, Ellyn Ruthstrom, AJ Walkley, Amy Andre, Lindasusan Ulrich, Gary North, Emily Dievendorf, ABilly Jones-Henin, Martin Rawlings-Fein, Peter M. Ruggiero, Jim Larsen, Lauren Beach, Dr. Mimi Hoang, Morgan Goode, Heron Greenesmith and Ron Suresha. Download the Guide in .pdf here.